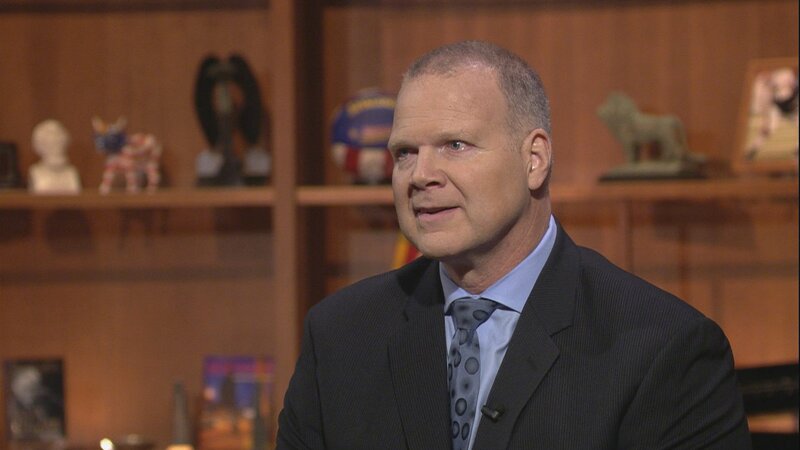 State Superintendent of Education Tony Smith appears on “Chicago Tonight” on Jan. 11, 2018. After nearly four years on the job, Illinois State Superintendent of Education Tony Smith will be leaving his office at the end of the month. Smith announced Tuesday that his contract will not be renewed after it ends on Jan. 31, bringing to a close his term as Illinois’ schools chief. Smith will remain on in a custodial role to maintain operations until next month’s Illinois State Board of Education meeting. ISBE named Smith as the state’s 28th superintendent in April 2015, only three months after then-Gov. Bruce Rauner was sworn into office. During his time in office, Smith oversaw yearslong negotiations that resulted in a new evidence-based funding formula for the state, which replaced an outdated model that had been dubbed the nation’s most regressive formula. It also included a controversial tax credit scholarship program, which offers money to low-income students to go to private schools. New Gov. J.B. Pritzker has pledged to roll back that program. During Smith’s tenure, ISBE also launched an unprecedented public inquiry into Chicago Public Schools’ special education offerings following requests from parents and local activists. Through that process, ISBE reported finding “systemic problems” and federal law violations that resulted both in the denial and delay of special education services to CPS students. Before becoming state superintendent, Smith had worked as both the executive director of the W. Clement & Jessie V. Stone Foundation in Chicago and as superintendent in the Oakland Unified School District in California.